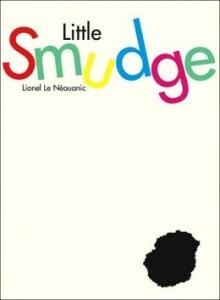 Little Smudge, written by Lionel Le Néouanic, is a charming children’s picture book about, well, a smudge. It shares powerful lessons of friendship, courage, triumph, and celebrating individuality. Bet you didn’t know a smudge could do all that. Little Smudge wants to make new friends. When he tries to make friends with Little Square, Little Circle and all the rest, things don’t go so well. The shapes ridicule the odd looking smudge for being so… different. Thankfully Mommy and Daddy Smudge teach Little Smudge about the special gifts that only he has. He learns that his unique qualities are also worth sharing with others, not worth hiding. With a whole lot of courage Little Smudge returns to the shapes. When he lets his true self shine, ridicule transforms into admiration, and new friendships are born. Of course I love the messages about sharing your true self with others, not pretending to be someone you’re not, not feeling inadequate because you believe you don’t fit in. I also love the less-is-more approach to storytelling in this book, which is a perfect complement to the author’s modern art illustrations. My 6 year old nephew, well, he just loves it period.